This is Edwardian charm at its best. A perfect vintage wedding dress with high neck, leg o'mutton sleeves, and flounced train. Simplified version can be a coordinated bridesmaid dress, dancing dress, or everyday fashion. 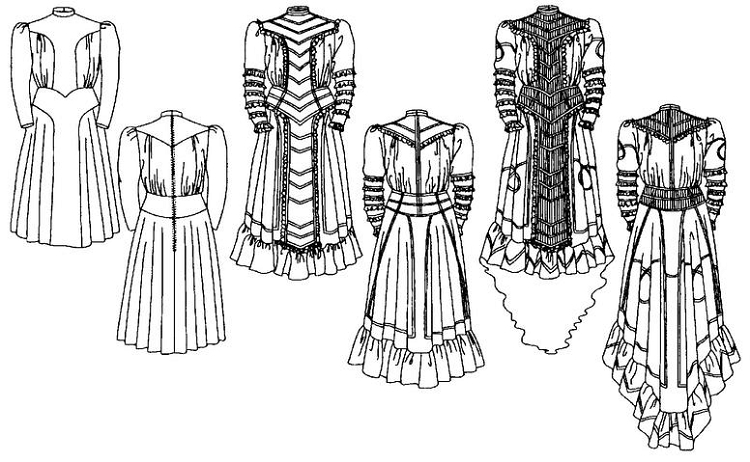 Pattern includes instructions for tucks, lace insertions, and a simple veil. 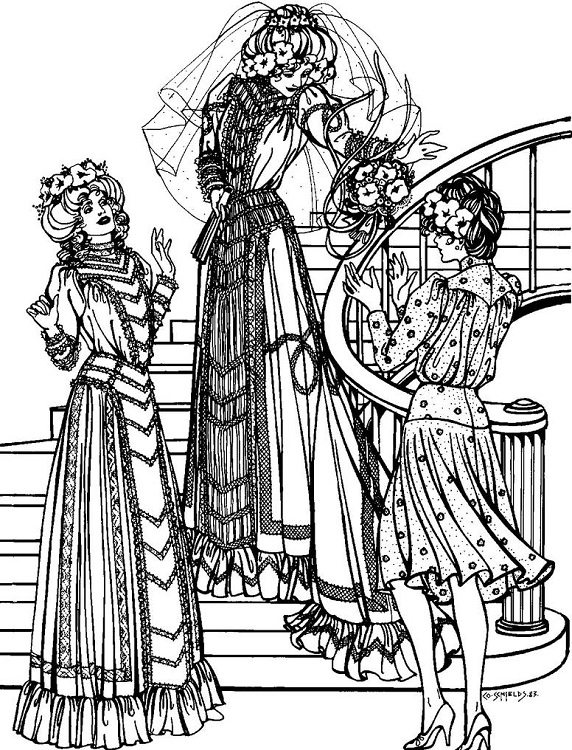 Suggested fabrics: Light to medium-weight cotton or blends such as batiste, lawn, voile, or broadcloth; handkerchief linen; silk broadcloth or crepe de chine; satin; taffeta. Original garments were made of cotton batiste. Simplified version can also be made from rayon or wool challis. Stripes, plaids, one-way prints, or diagonals are not suitable.